INDIANAPOLIS – Work is well underway on two Indianapolis housing projects aimed at providing affordable housing for persons who are needing community-based services. approximately $5.5 million in private equity. Total development cost for the projects is $8.1 million. Financing partners include Star Bank, who provided $1.5 million, and the Indiana Housing and Community Development Authority, who provided $3.5 million. The Helen Louise projects also received $546,000 in historic preservation tax credits. Adult & Child Health, an Indianapolis-based nonprofit, will provide the residents’ health care, mental health services, addictions treatment, and other services to promote recovery and independent living. Prior to acquisition, the Ellis and Helen Louise properties were in dilapidated condition. Both buildings are being renovated with all new mechanical, plumbing and electrical systems, new windows, new roofs, masonry restoration and repair, and all new finishes throughout the apartments. An artists’ rendering of the Helen Louise property on East Washington Street in Indianapolis. The Helen Louise on Washington Street will provide 30 modern units renovated according to the National Preservation guidelines for historically significant areas. Nestled in the Irvington neighborhood on Indianapolis’ eastside, it includes resident gathering areas, is close to local shopping and amenities, and is on the IndyGo bus line. The Ellis on Illinois apartments are in the burgeoning Crown Hill neighborhood, where significant private and public investments are happening. 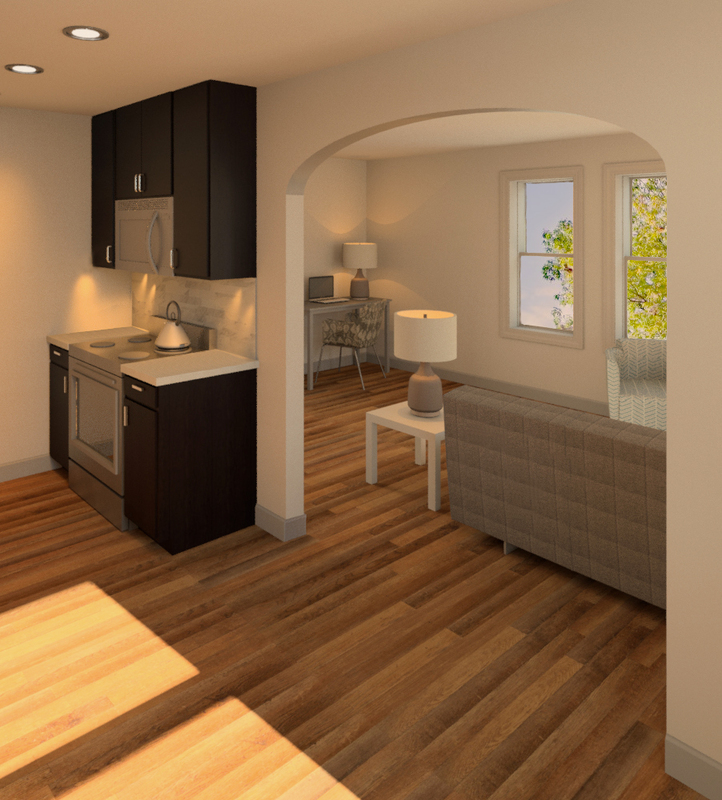 Located on the IndyGo bus line and near the Indianapolis Children’s Museum and new Tarkington Park, the Ellis’ 24 units will feature resident gathering areas, generous kitchens, and open modern floor plans.